So tell us something we didn't know. Oh sure, sometimes you might wrongly feel do things, just to keep you doting on us and ignoring your other life duties, but we assure you, every moment is a precious gift. Not only are we good for what ails you mentally and emotionally, but we can also help you physically. In a article we found on the inter-tubes we saw that not only can increase your dopamine and serotonin levels (those happy little neurotransmitters) but we can decrease your blood pressure, triglycerides and maybe even give your child less chance of growing up with asthma. Spending time with us is sheer genius! Now here's the best part. Veterinarians at the Cornell Feline Health Center did an experiment that showed that if you pet us for 5 minutes, OUR blood pressure dropped by 25 points. Seriously! They used a little tiny blood pressure cuff. 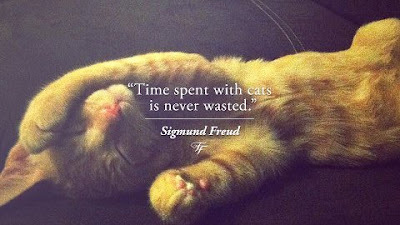 And another veterinarian have did research that showed that kitties that didn't get petted or talked to had way more cortisol ( a yucky hormone that isn't good for us, or you !) than the kitties who got their due. It's a win-win. Whew, we're all worn out from visiting with our human family this weekend... our auntie Suzie and niece Alexis. Their the parents of our guest blogger, cousin Spooks, who promised he will keep us posted on life from time to time. So mostly, we're sacking out today... Tipp's on the bed, I'm going to join him after this, but the Momma caught a good picture of Dee getting ready to sack out on her bags.... although they were pretty lumpy because the Momma got to go shopping and she came home with some neat rocks for us to play with and Dexter was laying on THIS (ow, pokey!) in the bag. She waited until he woke up to take a picture for you. It's soooooooo beautiful and shiny. Mom likes these things, she calls them crystals, we don't get to play with them so much like the rocks, but sometimes we get to hold them, I always feel like a king with precious jewels! Have a HAPPY TOESIE TUESDAY!!! We loves how da music was written. It makes da moviez even scarrier. We will be checking out your kitty groups too and sending them our own little "thank you for all you do" note. 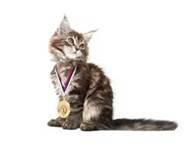 It would be great if we were squillionaires and could just donate to every single group out there, but we can't, so the least we can do is put a paw on their shoulder and say "thanks for everything that you do". Well, after putting all the entries into the Daddy's neuroplasmatronical-randompickeroutable machine, we have found the winner of our first ever giveaway. Merlin, Domino, Gris Gris and Odin from Cat Wisdom 101 !!! Thanks to mom Layla for entering them and introducing us to Bridgid's Crossing. We hope you really enjoy some "upcycled" sun soaking up ManCat Mat snooze time. Please make sure when you are entering our giveaway that you mention the organization you are giving a "Thank You" to. We'd like to visit them ourselves because we like to see all the work that is being done on behalf of kitties everywhere. If you didn't do that, we replied to your post as a reminder. Enteries are accepted until 11:59pm EST tonight! 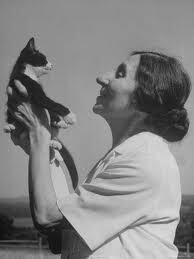 It's Thursday and after just a few short weeks we have a lot to be thankful for here in the wonderful world of kitty bloggin'. First, we have given the Momma something to do for us besides feeding and playing and snuggling and... oh yeah... scooping... I think she likes meeting all of you as much as we do. And we promised her she can write more for herself too... as long as it doesn't step on our time, ya know. So to say thank you, we have a freshly stuffed ManCat Sleeping Mat to give away. It's wooly, and squishy and warmy and you can washy it gently when it gets to hairy ( or someone yaks up a hairball on it... hint, hint a HARRY-ball ) This one is in blues and greys on one side and natural colors on the other. the Momma said if a lady cat would like one with a bit more color, she would make one special, but that is up to the winner. So one thing we are supposed to do is to tell you 7 things about us. So to be fair, we decided to do 2 for each of us and 1 for the Momma because she helps us do all the typing and stuffs. So here we go. So the Momma provided me with the inspiration for the Tipp of the day. So she was going to finish up the prize for our giveaway, the ManCat Sleeping Mat, last night. Was. Gonna. See where these words are going ? Or didn't go? Welllllll.... seems like the Momma thought she had enough of the squishy stuff that she puts inside these luscious sleeping mats to make them soft and snuggly, but uh-oh...... let's just say, when she got there, the cupboard was bare. Sigh... really momma? I have been dropping a few hints about this, but the Momma said it was ok to tell now. We're going to have our first give away! We love entering all of the ones out there so we thought we should return the favor. Everyone has been so cool to us and our new blog that we thought we'd have a "Thankful Thursday" this week. I met a really super nice kitty named Goodness Gracie at the Tabby Cat Club. She has been helping me with my blogging skills (I don't have many yet...) and, are you ready for this, she invited me to be in the Tabby Cat Club ! ME????? ME!!!!!! There are soooo many other cool Tabby Cats there, it just ROCKS! 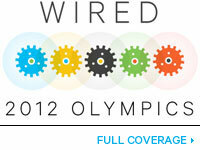 They have events there, and you can post on the blog, it's just such a cool place to hang if you're a Tabby. And the best part is ????? I'm a Ginger Tabby and I'm Proud ! 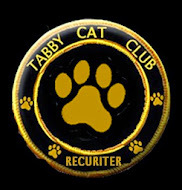 So all you tabbies out there, click on my new badge and head on over to the Tabby Cat Club ! Heck everyone head on over for a visit. But if you are a Tabby, c'mon and sign up. 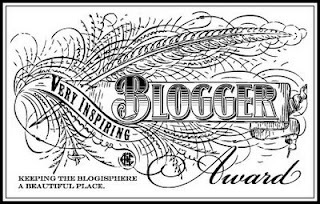 You'll be in cool company and you can can also put a cool badge on your blog that your brothers can't! (I wonder how long it will be before they notice.... hee, hee!). For those of you who don't know, Detroit Michigan (or as we say up here "down-state") is the "Motor City" for being the home of the companies that make those noisy big boxes on wheels that take us to the vets (yucky). I say, who would want to be known for that? I mean if we were dogs maybe, they do like to move fast and catch bugs in the face as they hang their heads out the window, but us? Please. Anyway, I digress. Dexter here! My friend Gracie at the Tabby Cat Club posted this event today. “What Would You Buy At Pet Smart If You Had A $20 Gift Certificate?” Well, who could resist that ! 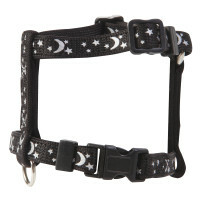 For Tipp, I would get this cool glowy harness because my mom is wanting to start taking him outside with me ( I have just started going outside, I have an awesome blue harness that goes so well with my Ginger-ness), it would look really cool on him because he's black and so all you would see is the glowy moon and stars. 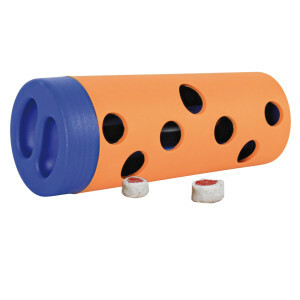 For Harry, I would get this crazy treat roller, he needs to work harder to get snacks. Normally, he is a ninja and vacuum cleaner, meaning he sneaks up on the counter to find dirty dishes (not that the Momma doesn't do the dishes, but not always right away...) or any tiny bit that falls on the floor. This way, he'd actually have to do a bit of work, and that would be fun for both Tipp and I to watch. Thanks Gracie for the great idea! It sure hit the spot. And then I hit the spot... in the sun... out like a light. Purrrrrrrfect . 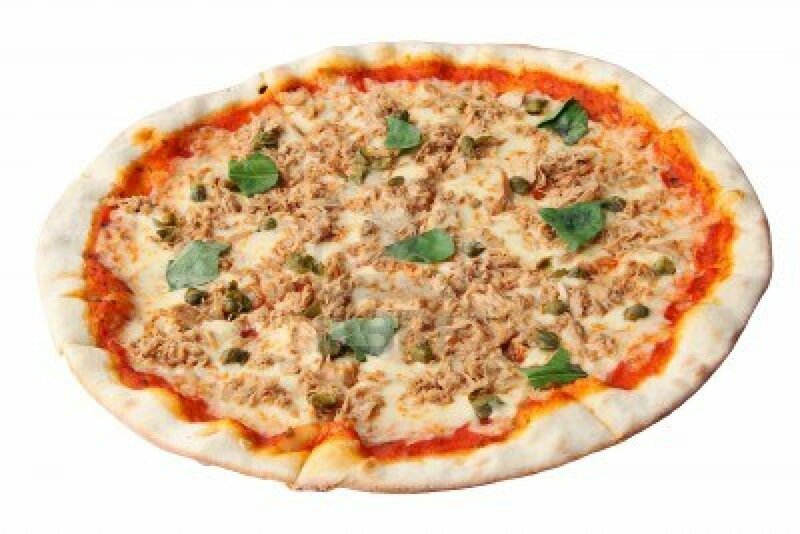 So leave me a comment and tell me what you like on YOUR pizza ? d. Other _______________________ I'll post results on Caturday! To any and all kitties and companions who have tried to get in touch with us yesterday or today, we just found out that Yahoo somehow "disconnected" our email and we probably lost you! I have some mail from Tuesday morning, but if you got a bad email notice, please try us again, we should be back up and running. Sorry for the confusion, missing you, even if only for a day! 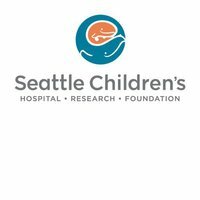 Seems like even rockers have a heart, and a novel way of raising funds to help out a kitten in need. Burger Records, you ROCK ! 50 UNRELEASED SONGS BY 50 BANDS!!! We found a kitten running under cars on the freeway during rush hour and we rescued her!!! The next day we took the kitty to the vet and found out she had fallen or been thrown and she needed surgery and pins in her pelvis and knee!!! It was super expensive so we asked some of our friends to contribute unreleased songs to benefit the little kitty gato and 50 bands came to the rescue!!! She is the sweetest little kitten ever, there's no way we could have let her die so we did THE KITTY COMP!!! ALL PROCEEDS GO TO RESCUING OUR LITTLE KITTY FRIEND, ANY MONEY MADE AFTER THE $2,200 NEEDED TO FIX THE KITTEN WILL GO TO THE AMERICAN SOCIETY FOR THE PREVENTION OF CRUELTY TO ANIMALS!!! Tipp here. I was watchin' mom surfing the intertubes and we found an old kitty movie on the UTube. Mom said it wasn't movie it was a commercial. I don't know but it looked like a fantasy movie to me. All the kitties had the biggest, nicest house I have ever seen and I wished I could be there with them too. Anyway, mom fixed it so you can see it too. ok, so like it's friday, right, and mom and dad said it was to hot to cook dinner tonight, right, and so they went and got out a package from the big white box in the garage, right, and they were talkin' and dad asked mom if she wanted cheez on her burger... WHAT?!?!?!? Did I hear that right? 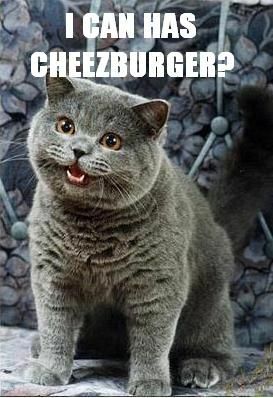 CHEEZ and BURGER? There has been a lot in the news this week about findings in a scientific study, linking infection from the parasite Toxoplasmosis gondii (T. gondii) and an increase in the rate of suicide attempts. Unfortunately, some "news" sources have portrayed these findings rather sensationally to imply that cat ownership can lead to an increased risk of suicide. Wow. So before your friends and families try to talk you into parting with your kitty companions, let's talk a few facts hereI don't claim to be an expert, so I encourage you to read information from the CDC on Toxoplasmosis (here). In essessence, Toxoplasmosis is a parasite you can get several different ways, one way is through contact with cat feces. As you will see there are several other common ways, the most common being through contaminated meat and contaminated food prep equipment. According to the senior author of the study (here) women in this study had a one and a half higher incidence of suicide attempts then those who were not infected. 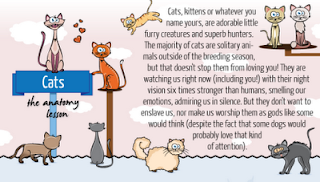 I encourage you to read the article, it is an easy read and you will come away with a better understanding of where the connection with cats may have come from. But what does this mean ? Hey, welcome to our blog! We're the Cherry City Kitties, Harry, Dexter a Tipp. We live "up north" a place called Michigan. Mom showed us where on her hand. She held the right one out like a mitten and pointed to where her pinky touched the finger she had a ring on. So I guess that's where we are. All we know is that sometimes it's really hot, then it gets really cold and snowy, but since we are mostly in the house, we don't really care. We have a mom and dad, and there are some big birds outside and one of them is really noisy early in the morning. I think mom wants to have someone else join our family, maybe a sister for us, but sssshhhhhh... don't tell dad. Horatio Petrushka Nutkin aka: Harry, Nuterkin or "GET DOWN!" I like human noms... whatever I can get away with. I am like a ninja on the counters and a bloodhound on the floor. I like the outdoors and right now am the only one who goes outside sometimes. Why not? I have my own private catnip patch and I can hunt for presents to bring to my mom and dad (and hope they will give me some of their food in exchange). While I tend to be the dignified one, I am particularly fond of cat humor, and will be sharing my favorites with you, amongst other things. I LOVE MY BELLY RUBBED! You can do it as long as you want, I'm always in the belly rub zone. I like toys, especially feathery things, and things filled with Nip (Harry is not the only one who likes a bit of Nip around here...) I also like to talk about cool stuff my mom does sometimes like meditation and energy work. I like to be around her when she does it, although I think it is hard for her to meditate when I want to play! Anyway, I'm glad to meet you, and would you please rub my belly now? Hi everyone. I am a rescued, feral kitty that was adopted a couple years ago by my mom and dad to come and live in the inside with them and my brothers. My mom says I have the shiniest coat she's ever seen on a kitty, and I have white tips on my back toes and on my tail. I love to lay in our window and watch "Bird TV". It's only one channel, but there's so many birds out there, I don't care. I am kind of clingy and nervous sometimes, I think because I was so scared when I lived in the outside and I think other kitties might feel that way too. I wish they didn't have to live like that, so I will talk about how people help kitties like me get healthy and find forever homes. I'm sure I will think of other things, but right now there's a big blue bird on the feeder and I have to go check him out. Bye! Come back and see us soon. We have lots of good stuff to share !